Cozy garden view bungalow with private balcony and hammock. Room with full bed and 2 individual beds, private bathroom partially open to the sky for hot water showers under the sun or stars, small kitchenette, fridge, safe box and wooden furnishings. Great for singles, couples, small families and friends. 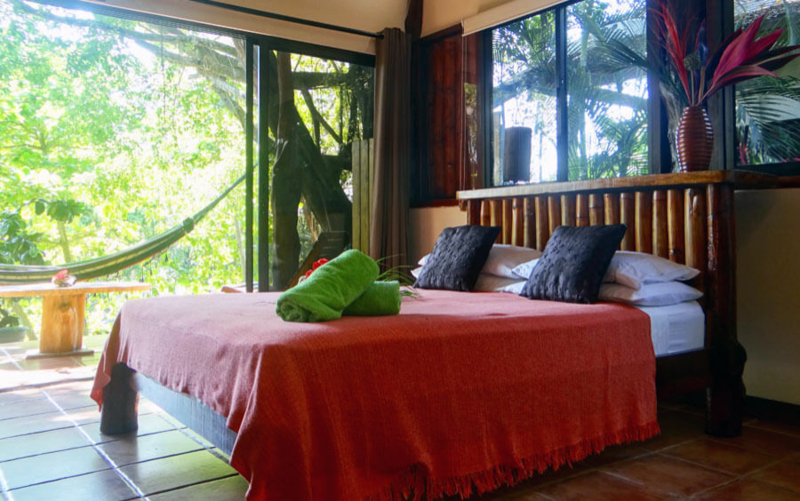 Funky Monkey Lodge is located in a lovely beach town of Santa Teresa in Costa Rica. 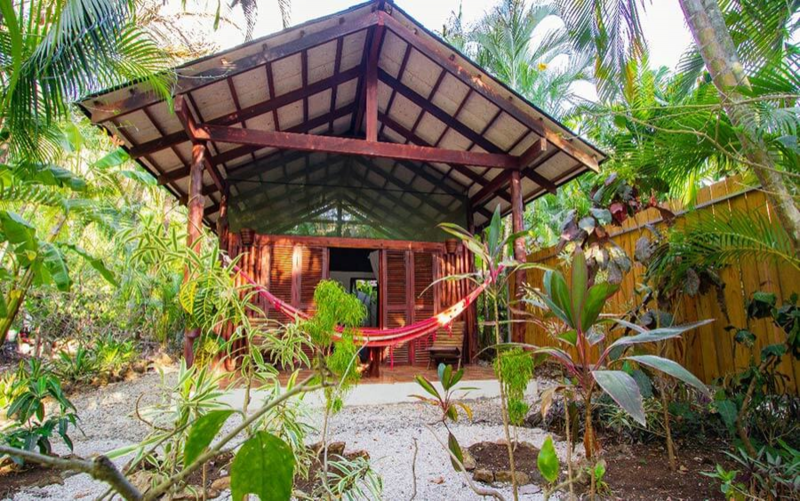 Only 200 m from the white sand beach and set back from the main road, on a gorgeous jungle property. Our hotel is the ideal place to relax, eat amazing food, meet new friends and enjoy some peace and quiet surrounded by nature. Wish to learn how to surf, improve your surf level or practice yoga? Check out our special surf/yoga camps or build your own personalized package. We love making the best of your vacation therefore our staff is always available and happy to suggest and arrange any additional tours and transportation to explore the area. Featuring different types of accommodations, we can create the perfect setting for any group. and for cancellations made less than 5 days prior to arrival date. 20% deposit of reservation will be charged on the day of booking and is non refundable. We require a 50% non refundable deposit during our Peak season and 100% for cancellations made less than 14 days prior to arrival date. .
All group reservations (10 people and more) are required 50% deposit at time of booking (no refund accepted). We charge the balance of your reservation upon arrival, unless you made a full deposit. Prepayment: The Deposit of the reservation will be charged on the day of booking. Please note, if cancelled, modified or in case of no-show, the Deposit of the reservation is not refundable. Payment: The balance of the reservation will be charged upon arrival preferably cash in USD or local curency. Free! One child under 2 years stays free of charge in a child's cot/crib, upon request. The Hotel reserves the right to charge guests the cost of rectifying damage or soiling, caused by accidental, deliberate, negligent or reckless act of the guest to the Hotel's property or structure. For the convenience of the Guest safety safe is provided in the room to store any valuables and each room has a lock.